The Marrakech Bus Terminal is known as Gare Routiere de Marrakech in French language and also known as Bab Doukkala Bus Station as most of the indigenous people used to call their station. This station is located at the edge of the Medina (the old town) on its North Western end. This station tend to be very busy place during the day as well as during the night. Bab Doukkala Bus Station is located within easy walking distance from the main square, Djemaa El Fna about 10 to 20 minutes, unless you get lost in the medina. To the other direction, the wide and busy Avenue Hassan II joins the bus station with Marrakech Train Station which is about 10 to 20 minutes walk. If You want to get to Bab Doukkala Bus Station and you have a luggage, you can take a taxi. Naturally, besides the long distance buses there is also outstanding coverage by local Marrakech buses which stop in front of the main entrance of the bus station. Marrakech Bab Doukkala station Is the one among many stations in Morocco which have a wide range of buses which come and go from the station. 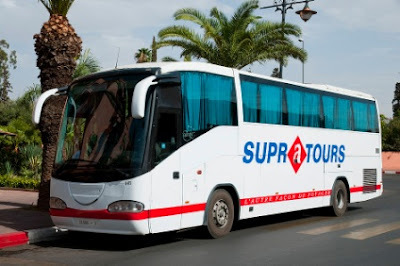 Marrakech is the most important cities in Morocco which have excellent bus transportation to all other big cities. The most popular routes and destinations from Marrakech are Agadir, Essaouira, Casablanca, Rabat, and Fes. They have different classes of their buses ranging from Super Modern to just about to fall apart. 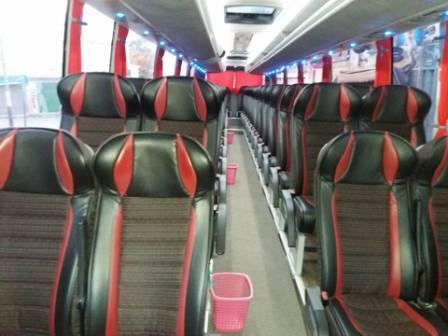 The Super Modern Buses have A/C services, On board Entertainment, Some with On board Toilets and many more. 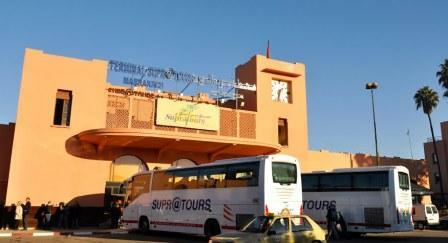 The Good News is that Marrakech Bus Station is Located in the ideal places which have a lot of Hotels near then station. 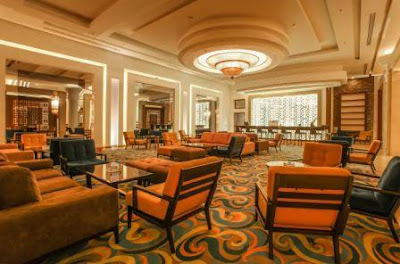 There are Five, Three star Hotels and many other Local Hotels which all of them being with a good rating from their customers. 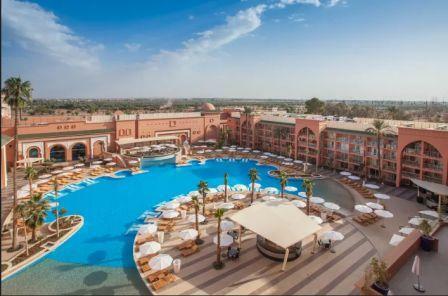 Good hotels in Marrakech new town can be found especially along the Avenue Mohammed V or Avenue Mohammed VI. 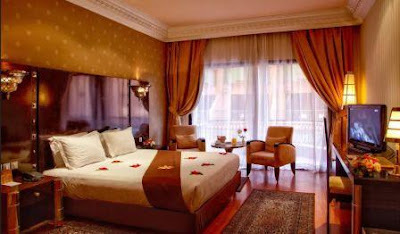 Prices Of the Hotels depend on the types of the Hotels you are ready to book ranging from the Five star to the lower one. Most of the Hotels have a professional servants who are working eagerly to keep you happy all the time. Some of the Hotels are few meters from the Marrakech Bus Station while other need you to have a Tax for getting into those Hotels depending on the distance. When You Are in Morocco there are several ways to travel efficiently and affordably when visiting different cities. But not all means of transportation can get you everywhere you need to go. The exception to this is any one of the three national bus companies that operate between major towns and cities as well as having drop off points at the stops of some smaller towns. Though there are many travell options, The cheapest and most efficient way to travel around the country is through buses, It's generally safe, although drivers sometimes leave a little to be desired. They are Operating on many intercity routes and night buses can be both quicker and cooler, although risks from other road users are considerably heightened. 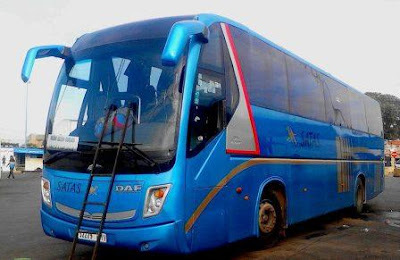 Compared to Trains, Buses are a cheaper and more comprehensive in Morocco’s travell Industry, They are serving smaller cities and towns that aren’t reached by rail. 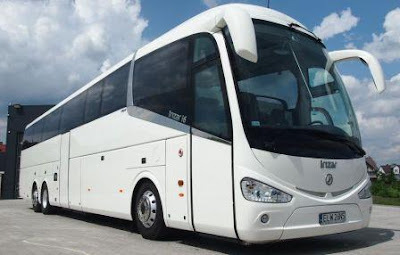 There is a major bus companies which provide safe and modern way of travelling in Morocco within cities and towns with a well scheduled timetable. There are also some smaller companies as well, but they often don’t operate on a schedule and may not leave a station until they are full. All buses have rather meagre curtains, so to avoid melting in the sun, pay attention to where you sit. Heading from north to south, sit on the right in the morning and the left in the afternoon; east to west, sit on the right, or on the left if travelling from west to east. You will often be assigned a seat when you purchase your ticket, but you can ask to choose a place. Most Of The Bus trips which takes longer than three hours incorporate a scheduled stop to stretch your legs and grab a snack. Buses are sometimes delayed at police checkpoints for about 10 minutes longer than grands taxis, whose local drivers usually know the police. Another option to have a safe and comfortable travell in Morocco is by taking a Train. Most train routes run regularly so it’s rare to have every seat sold out, but it’s good to book in advance if you want to guarantee your spot. The stations are always centrally located and you can buy tickets a few weeks in advance, so just grab ‘em whenever it’s handy. First Class: Rapide (Train Rapide Climatisé, TCR) which is standard for intercity services. Second Class: Ordinaire (Train Navette Rapide, TNR) which is less comfortable, without air-conditioning, apart from the double decker TNR Rabat to Casablanca shuttle. Mostly operate in late night and local services. First and second class fares are available, with six seats in 1st-class compartments and eight in 2nd class. First-class tickets include a reserved seat, while in 2nd class you just sit in any empty seat. Second class is more than adequate on short journeys. For longer trips, the extra for 1st class is worth paying. 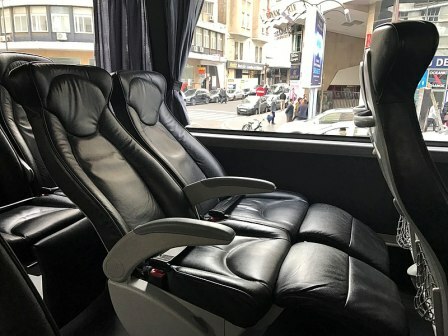 Shuttle services operate regularly between Kenitra, Rabat, Casablanca and Mohammed V International Airport, and they supplement the rapide services on this line. At weekends passengers get up to 25% discount on return trips, on major-line trains. If You want to get all of the details on pricing and ticket options at the ONCF website. You will find that many ONCF staff speak English so they can usually help you out at the station. NB: It is not possible to book either the train or the bus outside of Morocco, or much before the date of travel. As such, you may ask your hotel to help you book the tickets at the time. Trains are operated by ONCF, coaches by an ONCF subsidary, Supratours, it is possible to book one ticket for a route that covers both rail and coach. Satcoma Satas Voyageurs bus company doesn’t have the best reputation with travelers among the major three operators In Morocco , but it does go to some of the more remote places in the south of Morocco, namely the dessert regions like Zagoura while the other companies don’t venture there. It also offers similar services in between some of the smaller villages as well. 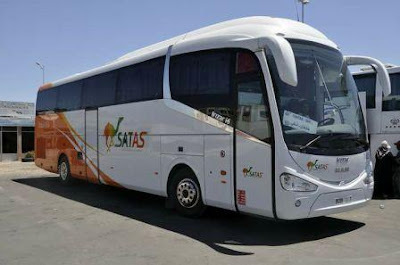 Satas has daily departures to the following destinations: Agadir (Dh100, eight hours), Goulimime (Dh102, five hours), Marrakesh (Dh170, 10 hours), Taroudannt (Dh60, five hours), Tiznit (Dh80, 6½ hours) and Zagora (Dh92, eight hours). Satcoma Satas Voyageurs makes you travel around Morocco and garanties you all the comfort, well-being, security and quality of a superior service. 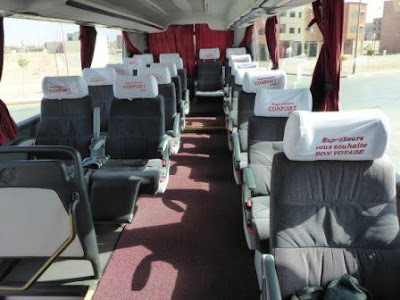 On their bus lines, you will travel comfortably and in total scurity in the best equipped buses in Morocco. High quality service, punctuality and conscictency over time is what we promise you. Address: 39 Bachir El Ibrahimi Street - ex Quinconces 20303, Casablanca. 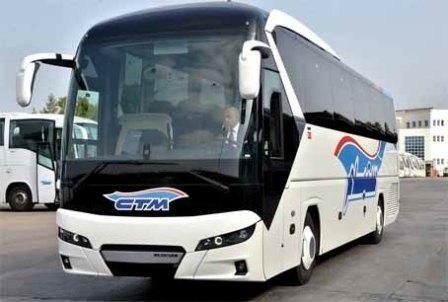 CTM Bus company is a national Bus company, operating across Morocco since 1919. They also have international routes to Spain available via their franchise arrangement with Eurolines. In tune with its time but also very avant-garde, CTM was the first Moroccan company to go private in 1993, at the same time as it was introduced on the Casablanca stock exchange. Today, it is a modern company serving its client and facing new challenges notably ecological, economical and social. 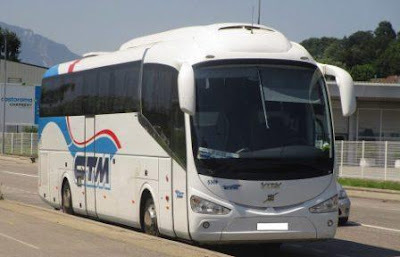 On their railway and bus lines, you will travel comfortably and in total scurity in the best equipped buses in Morocco. High quality service, punctuality and conscictency over time is what we promise you. Your favourite destinations are available starting from France and Spain. CTM works in partnership with Eurolines in vast international network serving a great number of European destinations starting from France, Spain and Italy. Their high quality service guaranties you all the comfort and security from each and every destination. CTM developed its network aiming to facilitate all your travels to European capitals. This network spreads in more the 80 European cities providing direct liaisons with a departure from Morocco. 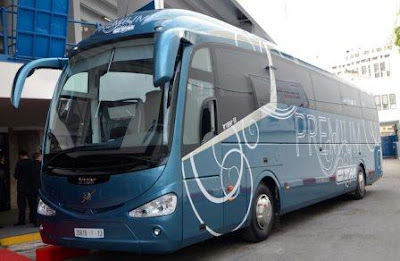 Luxurious buses, absolute comfort, impeccable service, that’s the kind of ride CTM promises you! Come experience a unique journey combining comfort, security and enjoyment. Choose CTM Premium to travel through direct lines with round way trips available everyday through highways in the best comfort to go to Casablanca, Rabat, Agadir, Marrakech, Fès, Tanger, Tétouan, Oujda, Beni mellal et Safi. 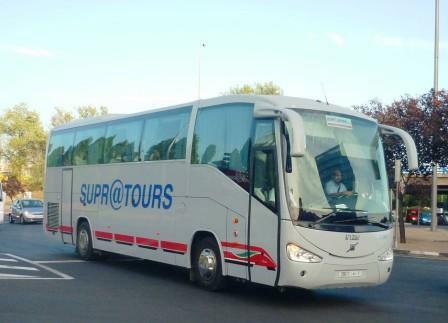 Supratours is one of the main leaders in passenger transport in Morocco. Since its creation over 30 years ago, we have been working to preserve the values whitch ensure a prermanent commitment ofour teams to a common goal (operators – conductors – mechanics) commitment for a common goal: YOUR SATISFACTION. Their international passenger transport branch, with its fleet of dedicated coaches and employees of proven professionalism of its employees, offers services that meet international requirements and standards. Alongside these regular lines activities, They also provide Cargo & Mail as well as Tourism services through our subsidiaries SMTR Carre and Supratours Travel respectively. Supratours works in tandem with the Once network, by extending the railroad lines or by reaching areas not served by the train, in a strategy promoting the rail-route product. With this positioning, Supratours is today a leading operator of national passenger travel with a million and a half passengers transported over 19 million kilometers in 2017. From 16-seat minibuses to luxury coaches comfortably accommodating 54 people, our wide range of vehicles adapts to your needs. To soak up Morocco's exotic sweetness, be sure to explore its countless touristic assets in guaranteed comfort and safety. 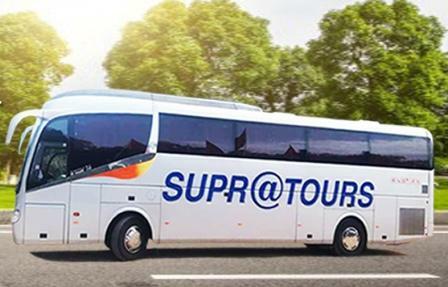 The Supratours team remains at your service for all your sightseeing tours, work committee outings, business trips, etc. Fewer seats, more leg room for greater comfort: Supra Comfort is the ultimate option for the seasoned traveler. Supratours stands committed to offer an outstanding experience at every stage of your trip. Luxury 35-seater coaches equipped with air conditioning, wide and deep seating seats, plush carpeting and excellent soundproofing to prevent accumulated tiredness. Onboard Supra Comfort, everything has been thought to make your journey passenger-oriented in optimum conditions of both safety and comfort. Supra Comfort is available on 2 lines: Marrakech - Agadir and Marrakech - Essaouira. Free Wi-Fi to check emails, keep in touch with friends and family or share impressions on your trip on social networks. Real-time tracking of the trip through the GPS system.